Rent a Port was contracted for carrying out a feasibility study for a greenfield port along the north coast of Haiti by a private investor. After the devastating earthquake, the port of Port au Prince was badly damaged by the devastating earthquake in 2010. Until then the north of the country depended totally on that port. During the last few years, a lot of attention has gone to the development of the north of Haiti, and the region received support from various organizations to develop the agricultural sector and also various successful industrial zones. International organizations provided support for the improvement of the road system. 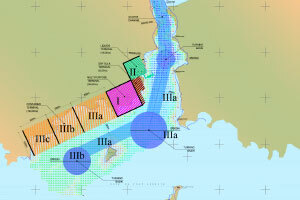 However, a clear bottleneck for the further development of the region was the lack of a deep sea port. Rent a Port developed a market study and a master plan for a greenfield port at Fort Liberté. This port is projected to include a multipurpose terminal, a container terminal (transshipment + gateway traffic), a cement terminal and an oil products terminal.